In 2012, Lidl began an effort to reposition itself in France as a supermarket built around providing the best relationship between quality and price. The strategy marks a reversal of its previous position as a leader among hard discount supermarkets. How did the company carry out this change? "While the company first gained renown as a leader in the hard discount segment, we have never been focused solely on providing the cheapest goods." explains Laetitia Nayagom, HR project manager for Lidl France. Established in France in 1989, the company became the French leader of hard discount by 1995. Since then, it has worked continuously to adjust its offer to match the specific needs of the French market. 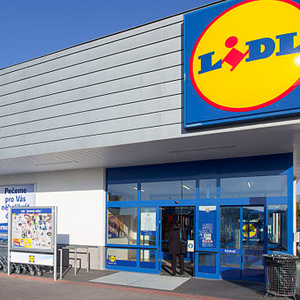 "Lidl France suffered from a lackluster image due to its hard discount position. As the sector is slowing down, we decided the group had to evolve radically and go beyond hard discount." The goal was to reposition the brand over the course of three years based on a three pronged strategy: to improve the product range, to renovate 1,500 stores nationwide, and to develop internal skills and communications. While the company currently holds 5% of the French food distribution market, the goal is to reach 8% by 2020. In 2015, the Lidl France strategy was developed around six key requirements: quality, price, freshness, proximity, the right product at the right time, and social and environmental responsibility. The goal? To ensure client satisfaction. The company's stores are committed to offering a selection of goods that have the best quality to price ratio (only 1,600 products listed). The company has also decided that 70% of its supplies will come from French and European sources. "We work with 600 French food and agriculture companies. We also work with our partners during national events." explains Laetitia Nayagom. The company's buying strategy provides it with the bargaining power necessary to keep prices low compared to competitors and thus increase its market share. In addition, Lidl stores in France are located in areas that have wide customer reach. The company's French stores were renovated to create logistics centers and renovations were carried out in accordance with standards for sustainable construction. Since 2015, Lidl France has also focused on increasing the skill sets of its teams through internal training. The guiding principles are: loyalty, promotions and recognition. As a result, the company implemented a personalized development plan for 1,500 store managers. "Lidl has always had know-how. We just didn't communicate on it." adds Laetitia Nayagom. The current strategy aims to communicate this positioning to clients and potential clients. The company has been voted the number one supermarket chain for four years and is now aiming to spread to the United States by 2018. Altigliss is Grenoble Ecole de Management's student association for mountain sports. For 16 years, the association has been organizing the student ski and snowboard world cup in Val d'Isère. From March 19th to 26th, the event will welcome more than 1,000 students from 28 different nationalities. Lidl France has continued its support for Altigliss by providing food and activities for the event. The association is currently the second largest student association in France and its partnership with Lidl provides the company with the opportunity to reinforce its employer branding with students.